The term ‘headphone’ might be confusing for a lot of people regarding the form factor. Majority of us consider a headphone as the larger, bulkier big brother of earphones, but is it so? In reality, earphones do come under the headphone category, but it is to a better understanding of the consumers these products are classified as earphones and headphones on most websites. 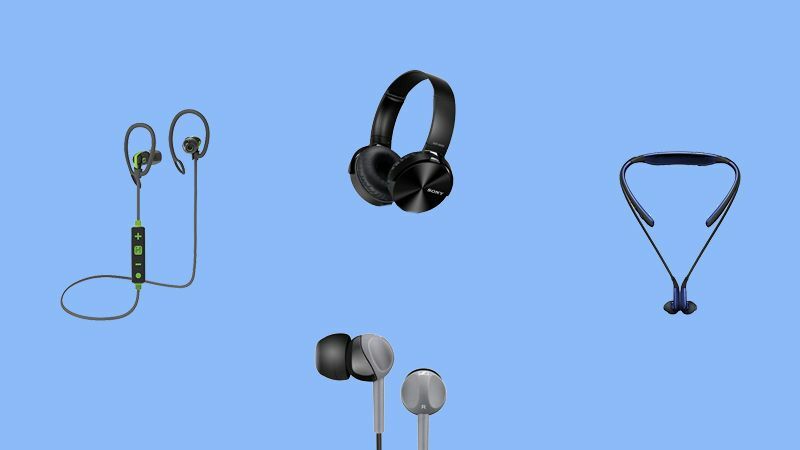 This article, however, isn’t gonna do much about that, instead, we are discussing the different headphone designs and its advantages in a user standpoint. Without getting this intro getting any longer, let’s begin! There are several types of headphone designs each of which has its own advantages and disadvantages. We will list out the few most commonly available designs in the market and briefly mention their positives and negatives. We hope this will make you not to end up purchasing an expensive piece of electronic junk. These type of headphones are also called supra-aural headphones or open back design headphones. On-Ear headphones have earcups designed to cover just your earlobes and not just the entire ears. Such headphones will have considerably less weight compared to the other types of headphones. The earpieces on On-Ear headphones leave sufficient space of air passage to and from the ears. This reduces heating of earlobes and subsequently the ear fatigue while listening to longer periods of time. Lightweight headphones won’t induce any irritation to those who wear it. Unlike heavy and bulky headphones, these devices stay stealthy on top of our head, without any noticeable heft. On-Ear headphones are not pocketable, obviously due to their size constraints. However, On-Ear headphones are much smaller than the Over-the-Ear headphone counterparts and occupy less space in your travel backpack. Since the ear is left open to the air passage, background noises will easily interfere with the music and make the experience less rewarding. On-Ear headphones usually come equipped with smaller diameter speakers than the Over-the-Ear counterparts, resulting in less pronounced sound quality. Over-the-Ear Headphones are also known as circum-aural headphones or closed back design headphones. The earpieces in these type of headphones cover the entire ears, making it kind of a sealed chamber. Most of the budget headphones available in the market belong to this kind. Since the earpiece cushion covers the entire earlobes, it is quite tough for the background noises to enter the ear canal. This provides a relatively serene and calm listening experience. 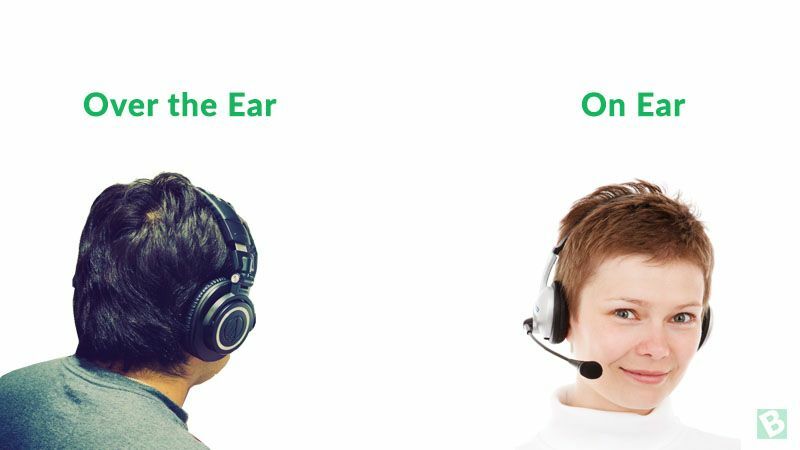 The size of the Over-the-Ear headphones is larger compared to the On-Ear style headphones. This allows them to have bigger and better speaker drivers for much more enhanced sound output. Longer listening sessions with Over-the-Ear headphones might induce ear pain and fatigue. Since these devices feature large drivers and earpieces, the headphones can get heavy and might cause irritation to the users. Canalphones are the most popular type of earphones in the market right now. These earphones are also known as in-ear earphones. There are budget canalphones to expensive premium canalphones available for purchase through various e-commerce sites in India. Since these type of earphones have elongated earpiece tubes, they fit snug inside the auditory canal. The earpiece in the canalphones rests inside the ear canal, forming an acoustic sealed barrier to the outside noise. Canalphones induce the same irritations as in the case of Over-the-Ear headphones. The speaker drivers in these earphones blast sound much closer to the eardrum, which might cause hearing problems in the long run. These type of earphones are now becoming more and more rare to be seen in the market. The earpiece in these type of earphones rests just outside the ear canal. There are a few budget earphones belonging to this category mainly from Philips. Apart from that, certain manufacturers such as Nokia bundles such earphones in their budget smartphone package as well. The earpiece resting outside the ear canal results in minimal ear fatigue, even while listening to your favourite tracks for extended periods of time. These type of earphones are only suitable for indoor use as the soundproofing isn’t as effective as that in-canal phones. These are mostly active earphones targeted at gym users for use in their workout sessions or for outdoor physical activities. These earphones come with an ear-hook to make sure the earpiece stays in place even if the head moves violently. These type of earphones mostly fell under the wireless earphones category. 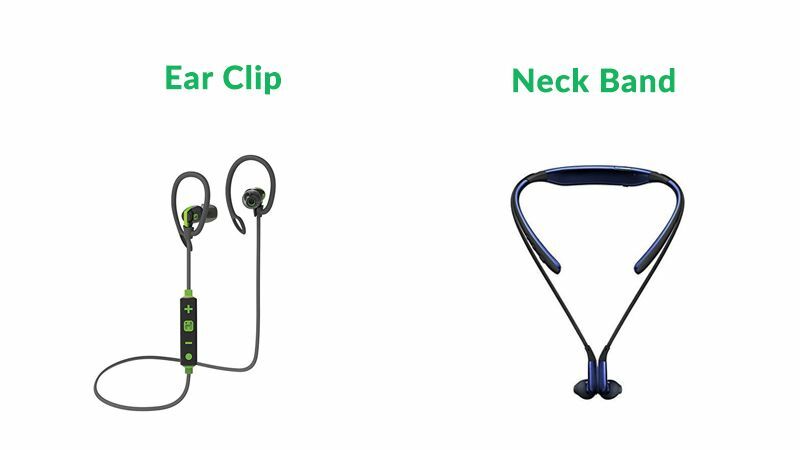 The neckband is wrapped around the head which might house the battery or media controls for adjusting the playback settings. Choosing a suitable headphone or earphone is not an easy task anymore. With thousands of brands competing with each other in the market with cut-throat pricing, the decision-making process becomes all the more confusing. Fret not, we have selected the best ones in the market and made it into a curated list of audio equipment here. If you’re about to purchase a headphone or an earphone, go through it and we ensure you a rewarding purchase experience. Last but not least, thanks for your time, have a great day!